Experiencing an auto accident can be very traumatic. Nobody wants to be in a car crash! After a crash there are so many symptoms that may occur as a result, both psychological and physical. It can be difficult for people to gather themselves emotionally after an auto accident; they may feel flustered, scared, have difficulty remembering, be panicked or have difficulty focusing. There may be physical effects that are obvious after a crash such as broken bones, wounds, cuts or scrapes, bruises and the like. There are however many physical issues that are not obvious on the surface, and many that are not obvious until some time has passed after the accident. In fact, there are often physical injuries that are not detectible for weeks and never to the naked eye and which require sophisticated medical diagnosis techniques to be found. Some injuries may be treated with physical therapy, massage or other therapeutic techniques. Injuries such as whiplash are an example of this type of injury. If pain is prolonged however, more than a month or so, these types of injuries may need more medical attention. In either case, it is wise to first consult a pain specialist for proper diagnosis and prescribed treatment. 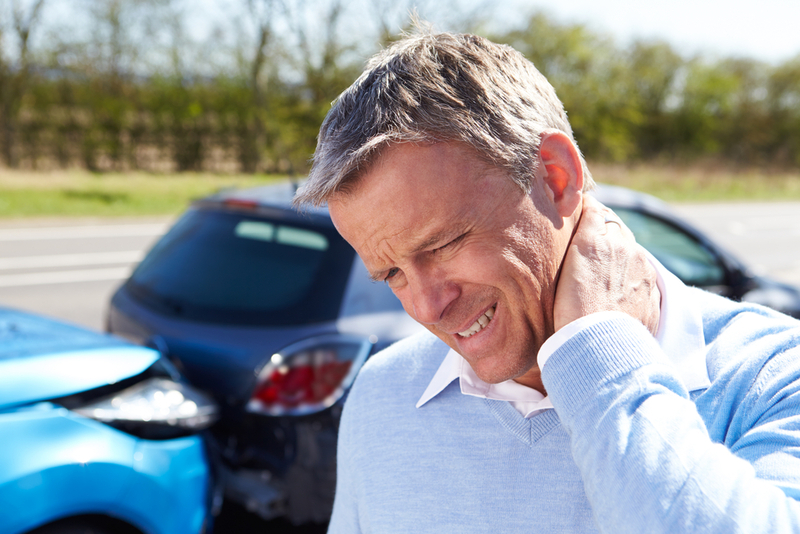 At Michigan Spine and Pain we can prescribe appropriate physical therapy, massage or other treatments as necessary for whiplash or other similar auto injuries. After an accident people sometimes consider calling an attorney to discuss insurance and monetary claims. We encourage people to seek legal counsel if they believe their case may warrant legal help, but calling an appropriate doctor ought to be one of the first calls a person makes and such a call doesn’t preclude legal representation. Michigan Spine and Pain is a multidisciplinary pain clinic that is supervised by a Board Certified M.D. in Physical Medicine and Rehabilitation as well as Board Certified in Pain Medicine. Many attorneys who specialize in automobile injuries recognize the expertise of the team at Michigan Spine and Pain and Dr. Marvin Bleiberg. Many physicians refer their patients for pain management and relief to our team. Please call 88.586.7992 or contact us HERE with any questions or to schedule a consultation.